We may be ladies, but we love us some man scent. Enter the Portland General Store - making man scents all around - Whiskey, Tabac, and Wood. 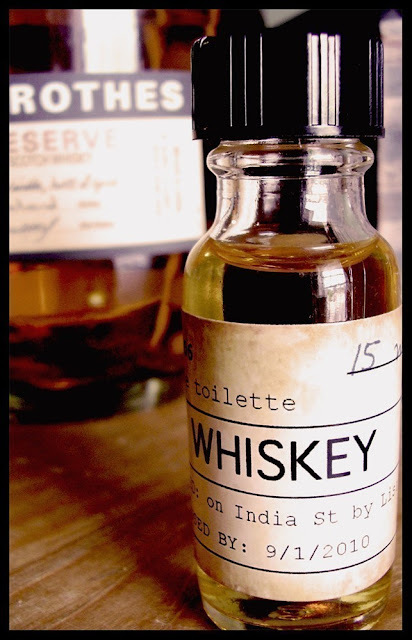 They describe the Whiskey scent as a "deep woodsy and amber fragrance with a surprising hint of spice and floral complexity that reveals itself over the hours. The result is a masculine scent with the magnetism of a Hollywood star". Yes. Funny, because that's what we smell like after a few whiskeys too. And - just to make our weak hearts palp just a little bit faster, they are bottled in vintage Czech pharmacy bottles. Seriously Swoon worthy, just like your soon to be whiskey-smelling man.